Dr. Mary is a Licensed Professional Counselor (MI#6401009252). 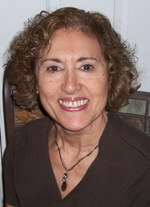 She has been in private clinical practice since 1981. Her office is in Northville. She is educated and trained to assist clients to become empowered to change unsatisfying patterns of thought and behavior and to create a harmonious and satisfying life. Her sensitivity to the individual’s unique needs, personality, and values enhances her ability to provide brief, solution-oriented therapy. She is an active member of her professional associations and is an Approved Consultant by the American Society of Clinical Hypnosis (ASCH). She uses hypnosis to assist clients when it is the intervention of choice. In addition to her clinical practice, she provides workshops in clinical hypnosis through her seminar business, MPM Seminars. Dr. Mary works with clients of all ages and with a wide variety of problems and concerns, such as, phobias, mood disorders, trauma and stress-related disorders, grief and loss. She provides individual, couples, and family therapy. She values the vital role of the integration of mind, body, and soul in the health and wholeness of the individual, the family, and society.